DigiKam 4.11 lets you manage your photographs like a professional, it is a cross platform application which focuses on features like importing, exporting, organizing, sorting, tagging digital photos. The current release 4.11 is being considered a base for upcoming major release 5.0. Although primarily developed for KDE desktop environment, but this app runs on all popular desktop environments as long as required dependencies are met. It supports all image formats and photos can be saved into albums and sorted on date, tag or timeline basis. We will be reviewing the noteworthy features of this new release and its installation process in this article. It is a very feature rich applications letting users organize, preview, download and/or delete images from their digital cameras, users can also caption and rate their images using this tool, they can also search and save search criteria for later use. 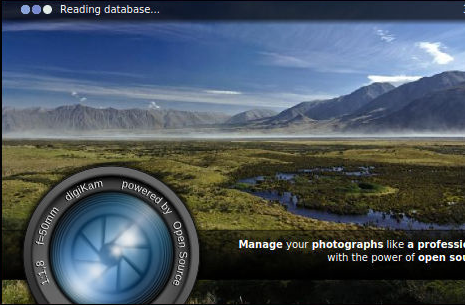 Users can export digikam images to online services like Facebook, Flickr and Gallery2 within few clicks. Support for advanced Qt5 + KDE Frameworks 5. Closure of more than 250 bug/issues in this new release. The availability of the installers for Mountain Lion, Maverick, and Yosemit has been officially announced. Support for Macports has been added for Mac OS users. Improvements to components like GPS locator, synchronizer and iPod Photo uploader. You can use APT package manager’s following command to install digikam on your ubuntu system, but please note that it might install older version of the application. As soon as the download process is complete, go to the download location and run following command to extract the installer file. Here run following commands one by one to complete the install of digikam new release. As soon as the install process is complete, you can launch it from Application>> Digikam option. It’s quite unbelievable that such an amazing app is free of cost, simply download and install it and start playing with your photo albums. It runs fine on Microsoft Windows, Linux, and Mac OS and is extremely lightweight. Could it work on Ubuntu 14.04? Thank you, for what i can see (and may be my mistake), it does not work.